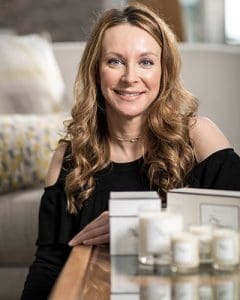 Time Organics was founded by beauty specialist Kelly Griffiths whose own health experiences turned into a passion to create a natural, holistic brand. Based in the beautiful North East of England our candles are crafted from nature to fragrantly charm the senses and form an atmosphere of tranquility. Made with natural wax and essentials oils to help de-stress, relax, discover inner balance and feel uplifted. “I chose the name ‘Time’ as for me personally it symbolises a new beginning. It was time for me to start afresh, a new era. I am a firm believer everything happens for a reason and when the time is right”.